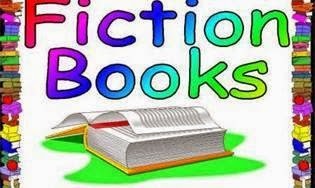 Laurie Here - Contemporary Fiction and MORE - Book Reviews: The #NYTimes Top 15 (25) #BestSellers for the week ending 8-2-14 PLUS #Blog Updates! The #NYTimes Top 15 (25) #BestSellers for the week ending 8-2-14 PLUS #Blog Updates! WELCOME! To another week of great books! Always posted by Sunday at NOON and sometimes earlier! There was a LOT going on at the blog last week, and it continues on into this week, as well! Not as busy, but still busy! Let's review last week and then I'll post what's coming up this week! *Posted just last night, the AUGUST #KINDLE #FIRE HDX #GIVEAWAY! OR choose an #AMAZON GC OR #PAYPAL #CASH valued at $229! HOLY! I LOVE these #giveaways!!! ENTER THIS ONE HERE! #WIN a $75 #Amazon GC for the book, "The Husband Maker" by Karey White! Enter this one HERE! *The Beach #Reads #Giveaway Hop! NOW to August 15th! HOP from blog to blog entering all of their #giveaways, too! Enter my #giveaway HERE! #WIN a hardcover copy of "Almost Royalty" by Courtney Hamilton, SIGNED, TOO! All you need to do is LEAVE A COMMENT at the link I'll post here telling us about your WORST EVER BREAK-UP! You can go to the Author's website and see ALL the blogs that are participating and read ALL of the stories in their Comment section! Some are hilarious!!! You cannot help but to crack up while reading some of these stories! Enter this #contest HERE! No prizes for this one, but I LOVED this book SO much that I HAD to jump into the Blog Tour for the book, "In the Mirror" by Kaira Rouda! I posted my review once for this book, and this review you see here is a re-post from my original review! LOVED this book! The description is: What would you do if you knew you were dying? You're married and have a beautiful child . . . HOW do you go on living day-to-day knowing you WILL die, and sooner than later This book was SOUL RETCHING! You can go to this author's website and go from blog to blog reading the reviews about this book, too! Check this out HERE! #Review: Where Courage Calls, Book One of the Canadian West Series by Janette Oke and Laurel Oke Logan! This i s a book that The Hallmark Channel based it's TV movie and TV mini-series on (this is NOT the movie-tie-in book, as that is completely different. If you are looking for that book, I DO have the name of that book posted for you in my review. I LOVE Janette Oke and now her daughter has teamed up with her to and is co-writing a NEW series! They have already published Book Six! Catch my review HERE! #Review: Crochet Workshop by James Walters! If you LOVE to crochet, you'll LOVE this book no matter if you are a beginner or a seasoned and experienced crocheter! You can catch that review HERE! MORE reviews to come next week! Don't forget the Blog Hop and to enter the Kindle Giveaway! Watch for MORE reviews to come next week! Other than that, next week is somewhat of a quiet week. No new blog tours, and we have a blog hop going on NOW! Keep watching because you never know what's coming up next! Now, on to the #BESTSELLING BOOKS! ALL links do go to the Kindle version of every book, but while you're there, if you decide you want a different type of book, just click on the version you want and it will take you there! Enjoy! The PRICE of ebooks??? WHAT IS HAPPENING??? WHY the increase?? Is it me? Is it you? Have you noticed the PRICE of ebooks SKYROCKETING "AGAIN"??? PUBLISHERS - PLEASE! Just because that lawsuit prevented you from increasing the cost of ebooks (a computer file! VERY COST EFFECTIVE FOR YOU BUT NO LONGER COST EFFECTIVE FOR "OUR" POCKETS!) you seem to have taken it upon yourself to INCREASE THE COSTS OF MOST ALL EBOOKS! I feel this is UNFAIR! MANY Independent Authors have NOT increased the cost of their ebooks and they are making money hand over fist! I don't see the REASON behind your increasing the costs now????? It seems as if the PRICES ARE FIXED BY PUBLISHER, and isn't this what got them in trouble in the first place? LONG story, but I don't feel this is fair to the consumer. Not at all. Oh well, publishers. It's YOUR LOSS when WE DON'T BUY THEM! (I don't. I wait until the prices drop below $10.00) Now we have #Amazon with their NEW club where you pay $10.00 for one year and you have access what I see is 600,000 titles. PLUS the cost of Prime! Hmmm. Something smells fishy! Are the publishers having to increase the costs of their ebooks because Amazon is GIVING THE EBOOKS AWAY? Although, I saw the prices increasing PRIOR TO Amazon's announcement of the ebook 'club'. Remember when most of us got a refund check - it was for our OVERPAYMENT of the cost of the ebooks we purchased. I got a hefty check for well over $25.00!! Remember when whatever publisher that was put the price of $19.99 on their ebook for Robert Galbraith's The Cuckoo's Calling? (That was J K Rowling, by the way!) Now that book remains high priced at $12.99. STOP, PLEASE! You are bleeding us DRY! Penny by penny! Increases of dollar by dollar, UP they go! I'm NOT playing this game, just like I'm NOT playing the cell phone game #Amazon has - the monopoly with AT&T! UGH! I'll purchase each book on an individual basis, as I see fit. I'm not getting into any price-fixed WAR between Amazon and the publishers, yet even though I'm NOT buying into it, but WE, THE CONSUMER, ARE STILL STUCK IN THE MIDDLE! I'm OFF my soapbox now! Sorry, but I had to say something! The whole thing is WRONG! I said so back then, and I say-so NOW! There we have our 15 Top #BestSellers! What have YOU read this week? Please leave a comment letting us know! It's a book recommendation! Thanks! Here are the rest of the books up to #25! Have a GREAT week!